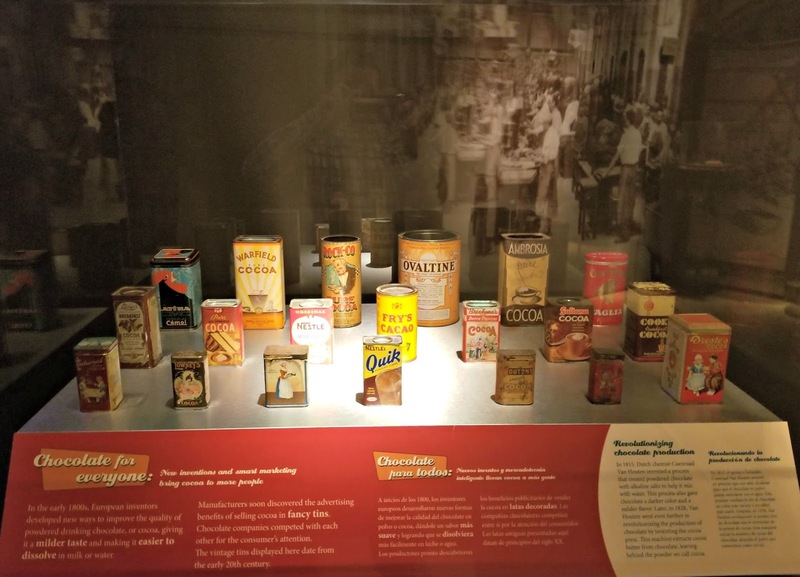 Learn about what has become the world's favorite treat, CHOCOLATE, through a traveling exhibit on display through January 7, 2018 at the Cranbrook Institute of Science. 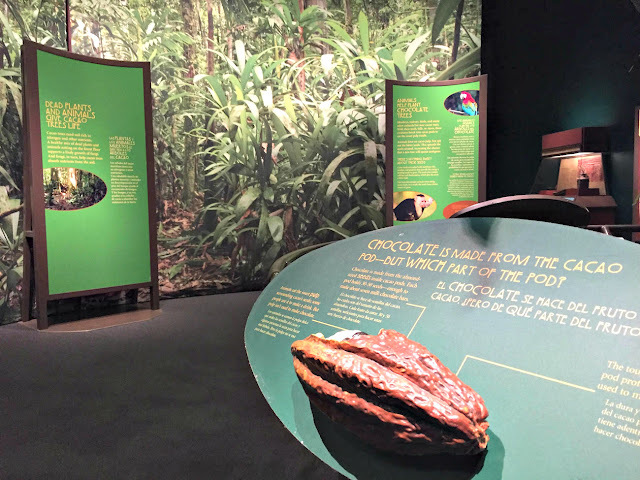 Chocolate: The Exhibit explains the link between today's candy bars and an ancient tree from the rainforests of South America and explores how cacao seed have become a sought after world wide commodity. 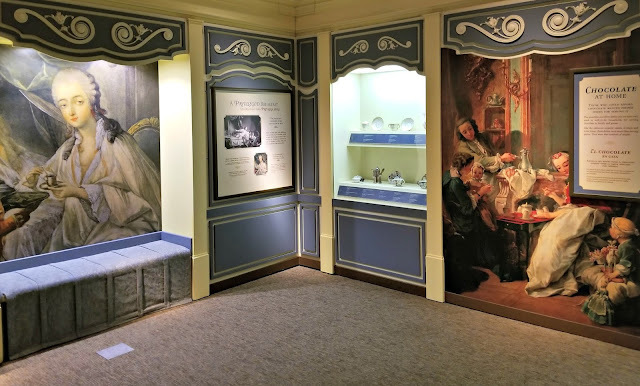 Get an up close look at lavish storage jars used by the Aztecs, chocolate serving sets from colonial era Europe, antique chocolate molds from the 1800's and classic candy packaging from the 1900's as you make your way through the exhibit. Learn how chocolate originates from seeds of the Cacao trees (Theobroma Cacao) native to the rainforests of South America. These trees that are part of the understory of the forest produce football sized fruit pods filled with almond nut sized seeds. Cacao seeds are harvested to produce chocolate. It takes more than 100 seeds combined with other ingredients to produce a pound of chocolate candy. Cacao trees really are limited to where they can be grown. They only thrive within 20° latitude of either side of the equator (equivalent of the distance between Detroit, Michigan and Orlando, Florida) and unlike many types of trees prefer shade to sunlight. So there is a limited geography where they can be cultivated. In addition to their native region within areas of South America, plantations that commercially harvest cacao seeds have emerged in Africa and Indonesia as well. The pods that cacao seeds are sheltered in develop from flowers which appear on the tree's trunk and lower branches. These flowers aren't pollinated by bees to create these fruits though but rather by a tiny fly called a Midge. These flies thrive in the debris that makes up the floor of a rainforest and is a reason that flowers and the fruit pods that emerge from them tend to be located around the lower regions of the trees. Because of the specific conditions that cacao trees thrive in growing them exclusively in plantations can be an arduous task. The world's love of chocolate though has also made cacao tree plantations a financially lucrative endeavor. Visitors to Cranbrook Institute of Science's Chocolate: The Exhibit walk through a display that highlights the ecology of the cacao tree and the process of harvesting its seeds and transforming them into chocolate. Learn about the negative impacts the world's love of chocolate has had in the past including the promotion of slavery and destruction of natural landscapes as well as the positive steps being taken by today's cacao farmers who are now working with scientists to grow cacao profitably without destroying rainforest habitats. 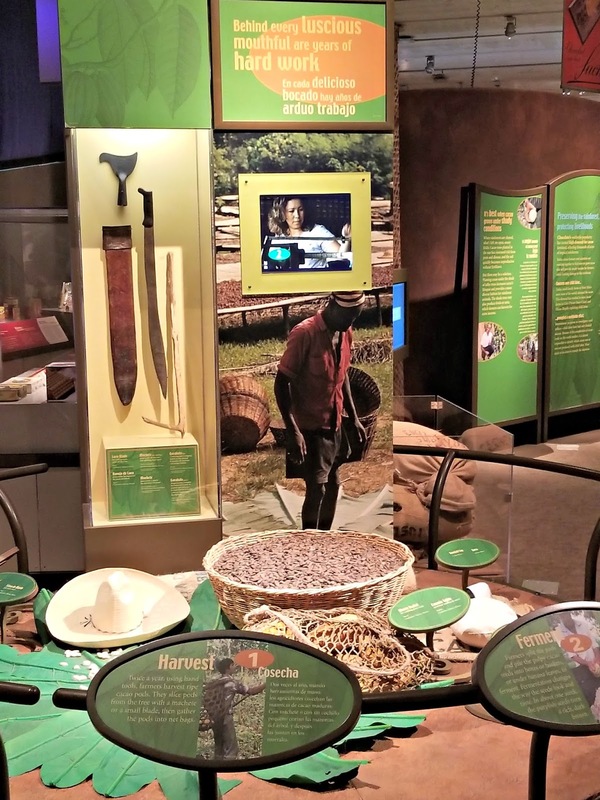 A tour of the display culminates with a live display of a New York Stock Exchange ticker showing what cacao seeds ( "Cocoa" ) are being valued at on the world market along side other commodities such as pork bellies and soy beans. The Aztec culture cherished cocoa seeds and the chocolate drink they made from them. Only royalty, priests, and others in the upper echelon of their society could partake in what was considered a drink of the gods. See elaborate Aztec pottery used to drink the beverage as well as artwork honoring the cacao tree and associating chocolate with their gods on display. Aztec culture also utilized cocoa seeds as currency. Spanish Conquistadors misinterpreted the Aztecs meaning of treasure believing they had cities filled with gold. So they were dumbfounded to discover cities filled to the brink with cocoa seeds instead of precious metals. 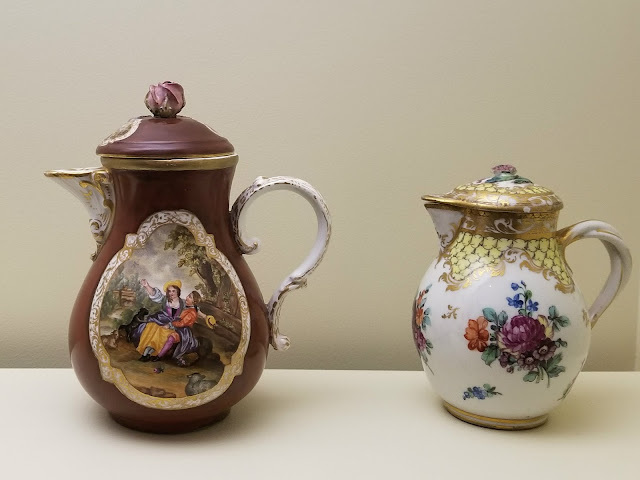 Their discovery though soon turned into liquid gold as chocolate became a popular drink throughout Europe with Spanish colonies having control of the precious cocoa seeds needed to produce it. Cacao seeds transported from the New World created a drink that delighted Europeans. Initially only available to the privileged classes, serving chocolate was a way to highlight one's wealth or status in European society. Examples of the china and utensils used to serve chocolate in those days is on display within Chocolate: The Exhibit. It really hasn't been that long in history that chocolate has been the candy and baking ingredient that we know today. Chocolate was known as a frothy drink until 1847. That year Joseph Fry mixed together a number of ingredients with cocoa powder that created a paste that could be molded into candy and began selling his creation in England. Following Fry's Chocolate Cream was the invention in 1875 by Daniel Peter and Henri Nestle of milk chocolate. Chocolate: The Exhibit has a number of examples of early chocolate molds from this era. By the early twentieth century, chocolate was available as candy to the masses. It was provided to soldiers as part of their rations during World War I and World War II which led to a continued demand for chocolate when they returned home from the battlefield. Availability and advertising boasted the popularity of chocolate. A number of early packages from these years are showcased in this display. 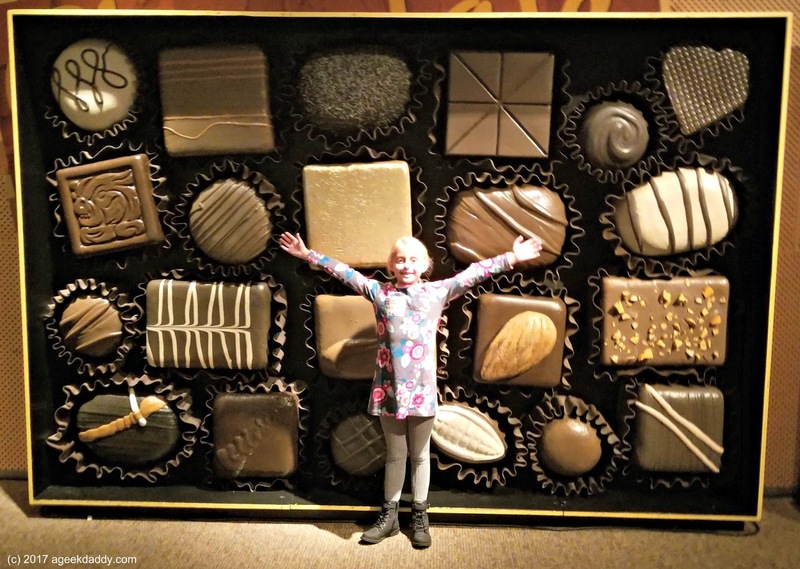 Chocolate: The Exhibit is an interesting look at a beloved product that generate more than $20 BILLION in sales within the United States each year. Cranbrook Institute of Science is located within the northern Detroit suburb of Bloomfield Hills, Michigan. 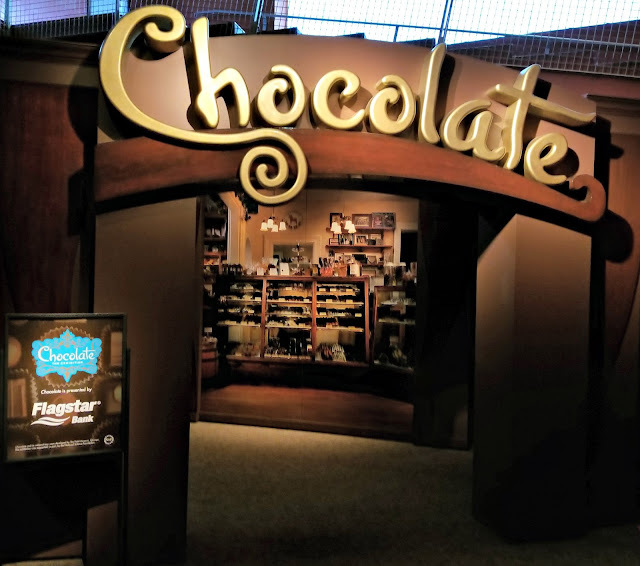 Entrance to Chocolate: The Exhibit is an additional cost to the general admission fee for the museum. Tickets for this traveling exhibit are $8 for adults, $6 for seniors (65+) and children (2-12) with those under 2 years old being free. General admission to Cranbrook Institute of Science is $13 for adults and $9.50 for seniors (65+) and children (2-12). The museum is also open on Friday and Saturday nights with reduced admission fees between 5 - 10pm. Those evening rates are $6.50 for adults and $5.50 for seniors and children. 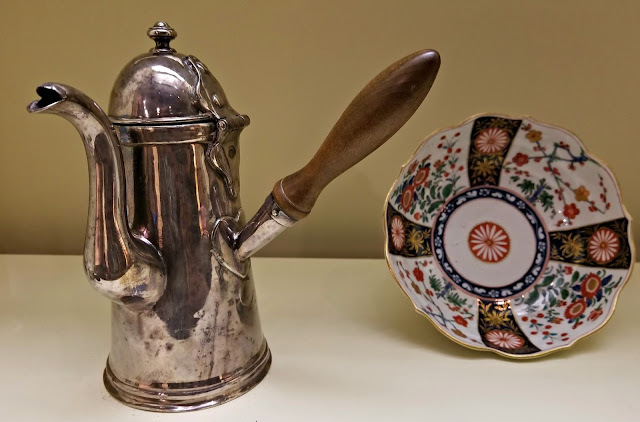 For more information about the Cranbrook Institute of Science, check out this previous A Geek Daddy post about the museum. This is so cool! 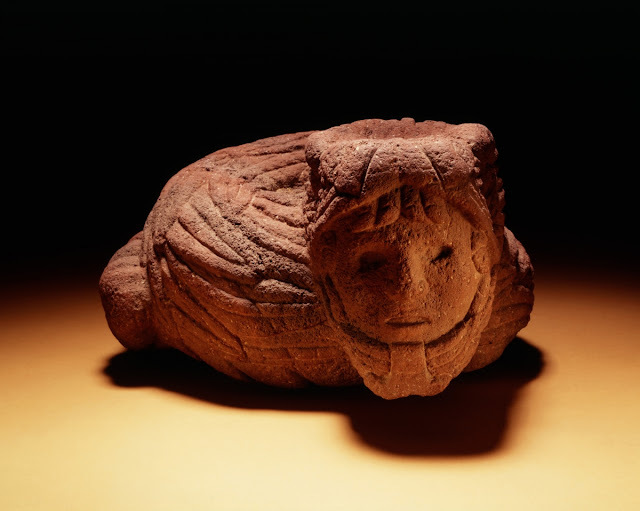 To see ancient artifacts related to chocolate, this would be a cool place to visit. Since I am a chocolate lover, I feel like I need to see this exhibit. I need to see if it is coming to our area soon. The last time we went to Hershey we took a class on chocolate. It is pretty neat learning what does into the process. This museum looks so very cool. I love learning the history behind things and who doesn't want to learn more about chocolate. I have a friend who makes chocolate at home and it's amazing. I would have been in heaven here! I absolutely LOVE the history of chocolate and think it's fascinating that it was used as currency! 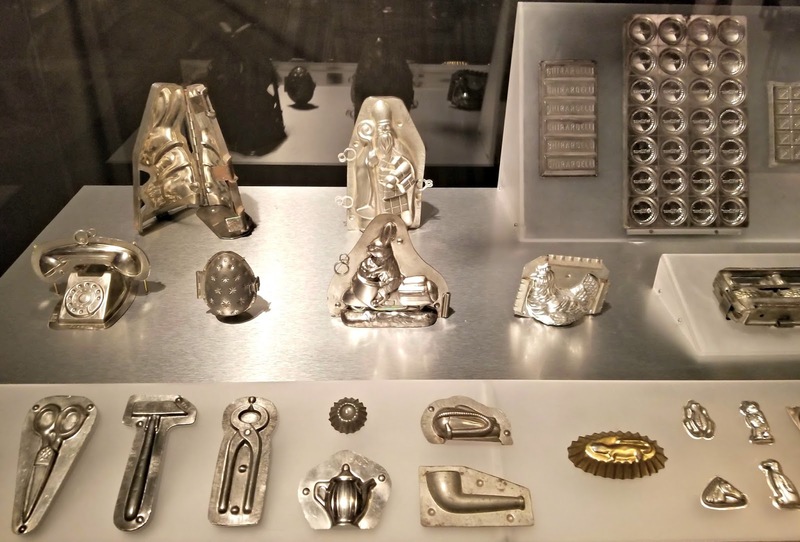 Those chocolate molds are so pretty! They would be awesome to collect! Who doesn't like chocolate?? I have to go and see this exhibit. I wish it's near me. There's nothing sweeter than learning all about chocolate. Looks like everyone had a great time! A chocolate lover's dream spot! LOL Admission isn't too bad. That's a fun museum to visit with the family! I hope they had samples for you too, ha! That looks like an interesting exhibit. I didn't know chocolate used to only be a drink, but I guess that makes sense since we have hot chocolate, espresso, etc. still. OOOOH! We went to the King Tut exhibit earlier this year and it was great. I will definitely try to get a Friday or Saturday outing planned - that is a great price!